Ja-Lu Community Park sits on land that was generously donated and dedicated to the citizens of Greenville by Lou and Jack Finney. Originally, this site was home to the Ja-Lu Pool which opened in July of 1993. In 2017, after many years of faithful service, the Ja-Lu Pool needed major repairs and was demolished. 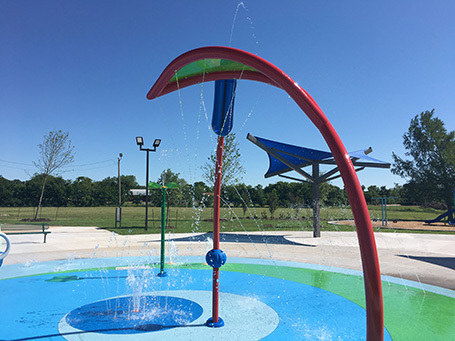 The land was transformed into a community park featuring a splashpad and new playground equipment. The new 1,400 sq. ft splashpad benefits the community by being more accessible, inclusive, interactive, and cost efficient. The layout and design is geared toward toddler through pre-teens, but is inclusive to every member of the family. The entire splashpad is activated by a button that children can press, making it more interactive and water efficient at the same time. 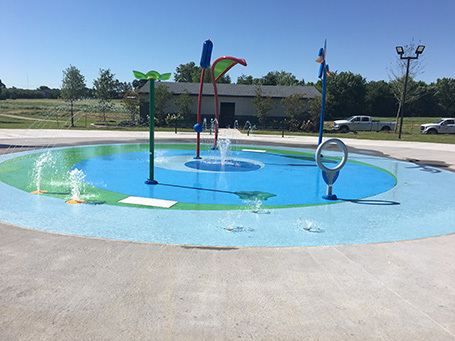 Based on colorful non-slip surfacing, children can run around and play in different areas of the splashpad while they are supervised from shaded seating areas. 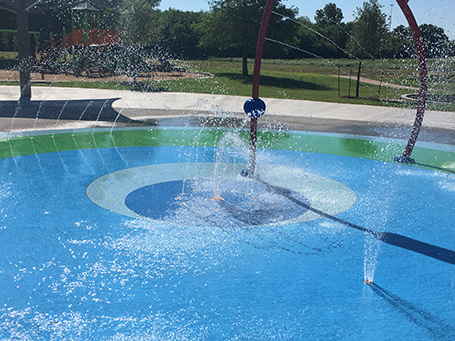 The splashpad was developed as a community-building environment that allows adults to sit back and socialize as their children run and play. The facility provides children with the opportunity for both dry and wet play as the park transformation also brought with it two new dry play structures. There are restrooms with areas for changing, as well as a walking path. With overhead lighting that allows for operation past sunset, the park can play host to local events as well.